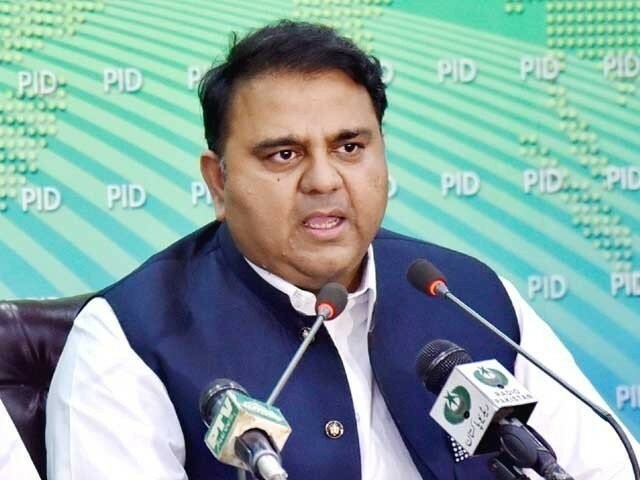 ISLAMABAD: Federal Minister for Information and Broadcasting Fawad Chaudhry on Friday ordered an inquiry regarding payment of a huge sum of money from state-run Pakistan Television’s bank account. In a letter written to the Islamabad Inspector General Police (IGP), Chaudhry sought a report over the matter as it appeared to be a ‘criminal case’. The action was taken on a complaint submitted by Pervaiz Akhtar Bhatti, the secretary general All PTV Employees and Workers Union. The move comes days after Chaudhry and Prime Minister’s Special Assistant on Political Affairs Naeemul Haq had exchanged ‘barbs’ on Twitter over the appointment of top official at the state-run channel. Amid media reports that Fawad was unhappy with the appointment of PTV News’ Managing Director Arshad Khan and wanted to replace him, Haq tweeted on Wednesday that Prime Minister Imran Khan had full confidence in the management of PTV and wanted to turn it into an independent organisation like the BBC. 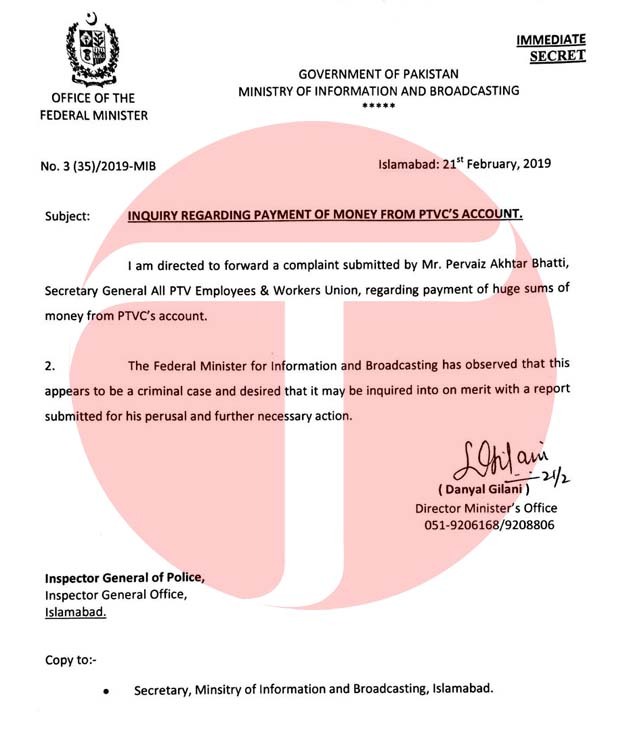 According to sources, the information minister also wrote a letter to the PTV MD, expressing displeasure over his performance.